Day 16: wet. 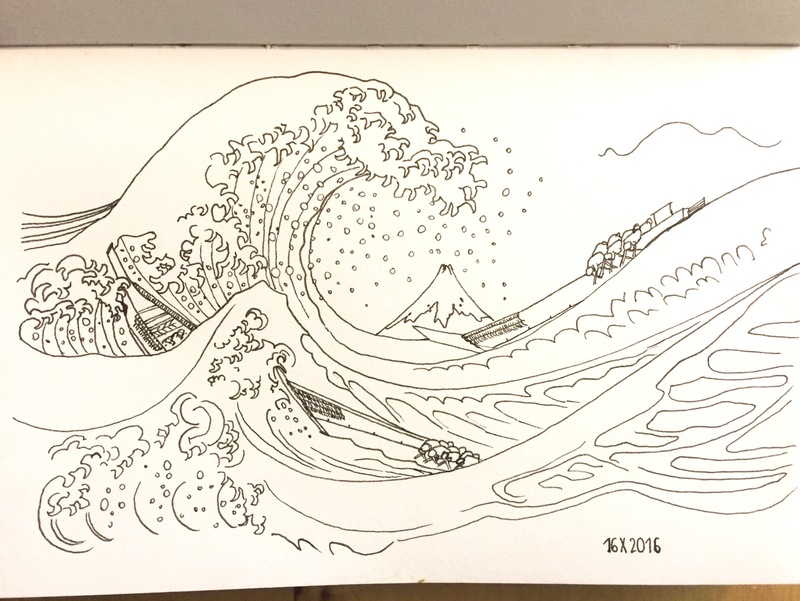 Black ink drawing of The Great Wave off Kanagawa by Hokusai. Day 17: Battle. 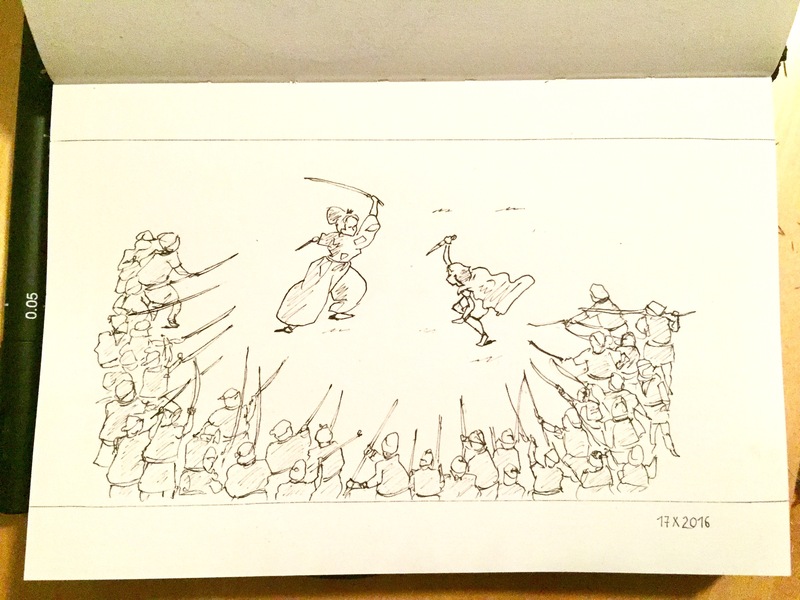 Black ink drawing of a Studio Ghibli battle scene; sword fighter and knife fighter surrounded by a semi-circle of men holding rifles, swords and spears. Day 18: Escape. 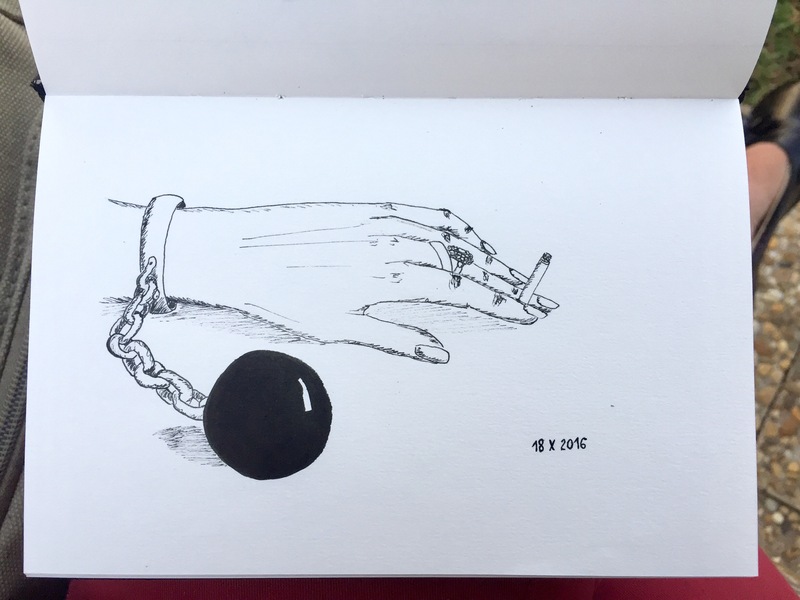 Black ink drawing of a hand (my hand), tethered by a weight, and holding a smoking cigarette. 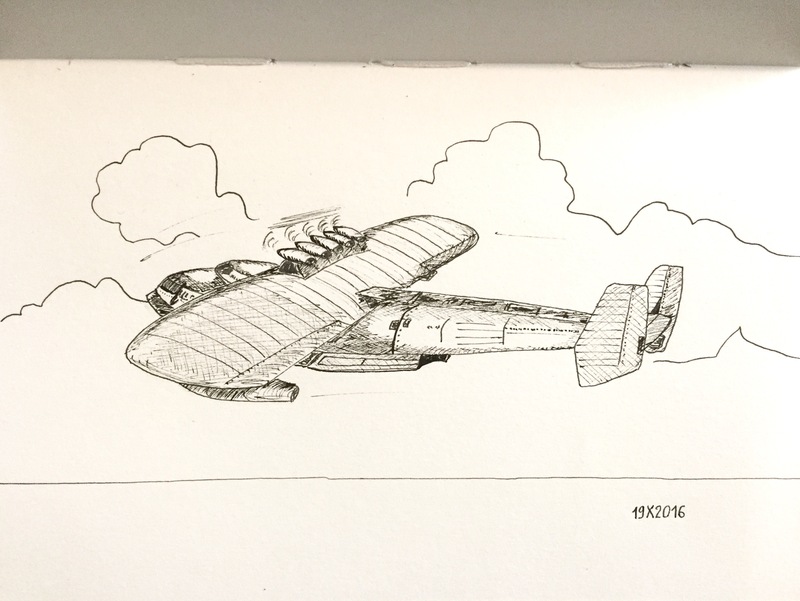 Day 19: Flight. Black ink drawing of an aeroplane in flight. Scene from a Ghibli Studio picture. 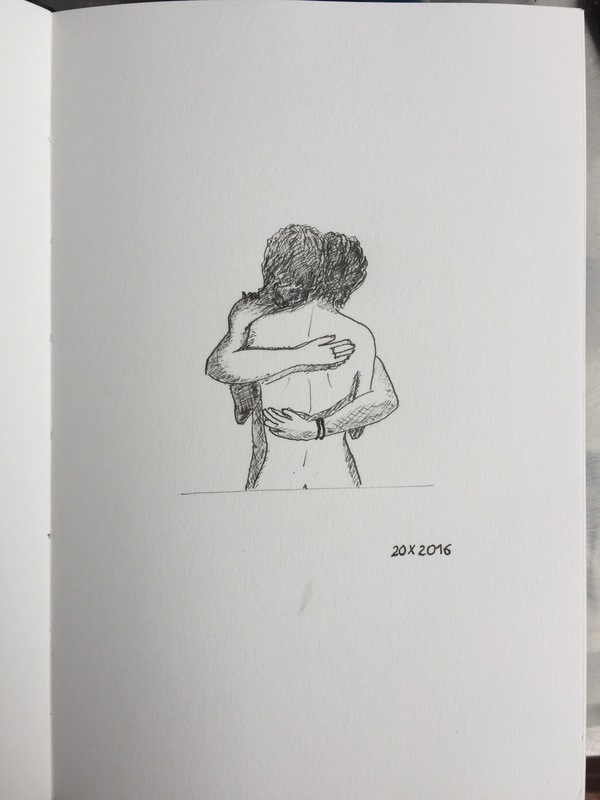 Day 20: Squeeze. Black ink drawing of a couple embracing.